At Abingdon Animal Medical Center, you can expect state-of-the-art medical care for your four-legged companions. We believe in nurturing the human-animal bond and creating a harmonious relationship between people and animals. You can expect to be greeted by a courteous receptionist, clean exam rooms, friendly doctors, and caring technicians. We appreciate the role we get to play in your pets' health care. Proudly Serving our Virginia and Tennesee neighbors- Abingdon, Bristol, Marion, Demascus, Meadowview, Glade Spring, Chilhowie & surrounding areas. 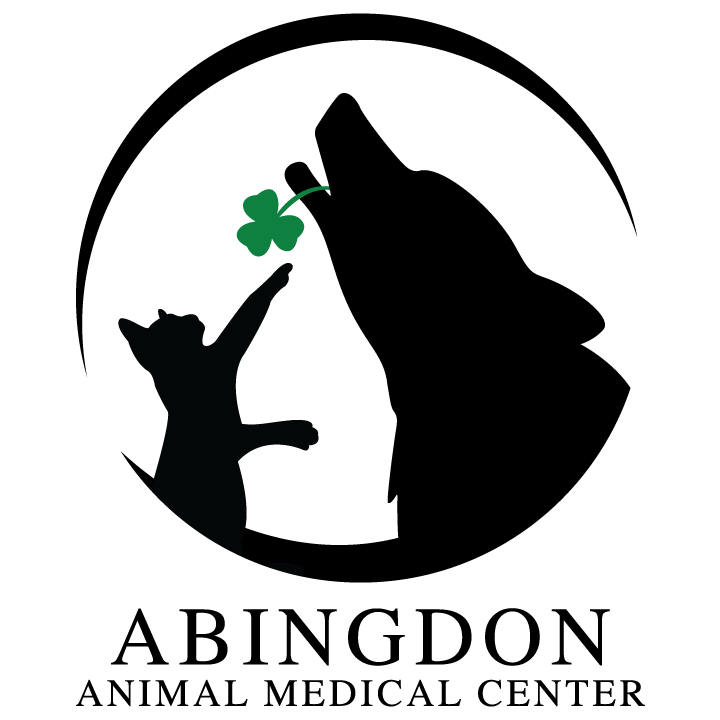 At Abingdon Animal Medical Center our goal is to give the best care to your pets that we possibly can. We hope you will come in and talk to us about your pets needs. Coming Soon: Online Pharmacy with competitive pricing and free home delivery options! The team at Abingdon Animal Medical Center is comprised of highly trained and experienced animal health professionals who have a genuine love for working with pets. Our staff treats every patient with the highest quality of medical care as well as a gentle touch. 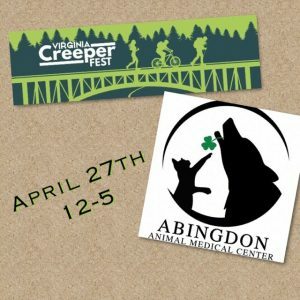 Abingdon Animal Medical Center is excited to announce that we will be setting up a booth at this years Virginia Creeperfest! Our groomer, Dakota will be there applying feathers and creative art designs with blow pens for your fur babies! We will also be answering questions and providing information about our medical center! Come out Saturday, April 27th, to celebrate our award winning Virginia Creeper Trail!